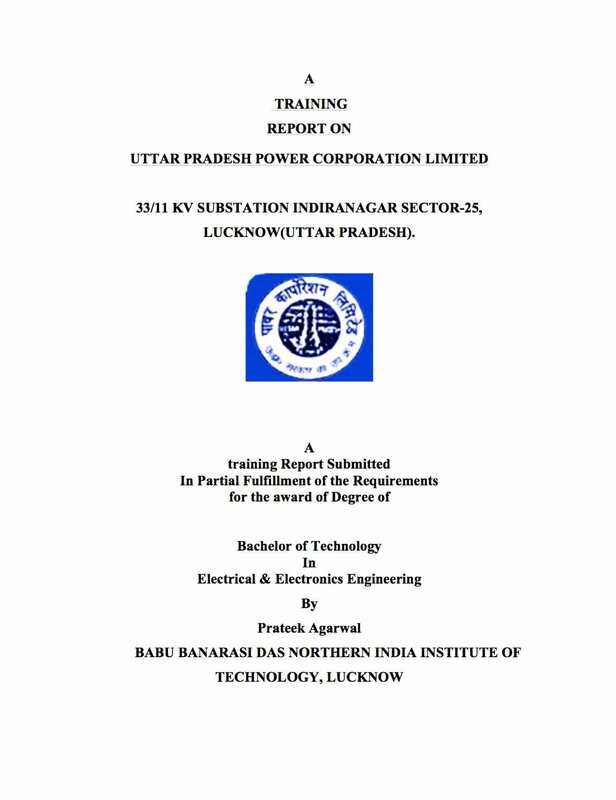 The main bus 33KV is connected to grid located at Sector-25, INDIRANAGAR, LUCKNOW. Now the transmission line first parallel connected with lightning arrester to diverge surge, followed by CVT connected parallel. CVT measures voltage and steeps down at 110V. A.C. for control panel, at the location a wave trap is connected to carrier communication at higher frequencies. A current transformer is connected in series with line which measure current and step down current at ratio 800:1 for control panel. Switchgear equipment is provided, which is the combination of a circuit breaker having an isolator at each end. A transformer is connected to main bus though a bus coupler. The main bus has total capability of 160 MVA for 33 KV, which is subdivided into two transformer capacity of 80 MVA (40MVA+40MVA) parallel connected for 33KV and other two transformer capacity of 80KV (40KV+40KV) are parallel connected for substation. At both ends of transformer lightning arrester current transformer and switchgear equipment provided. Transformer step downs voltage from 220KV to 33KV. The main bus is provided with switchgear equipment & a current transformer. This gives way to six feeders transmitting power to INDRA NAGAR. The main bus is connected to jack bus or transfer bus through a bus coupler & 11KV is provided with switchgear equipment. This gives way to feeders transmitting power to Sector-25, Bhoot Nath, Munshi Pulia, Ring Road and Sarvoday Nagar. 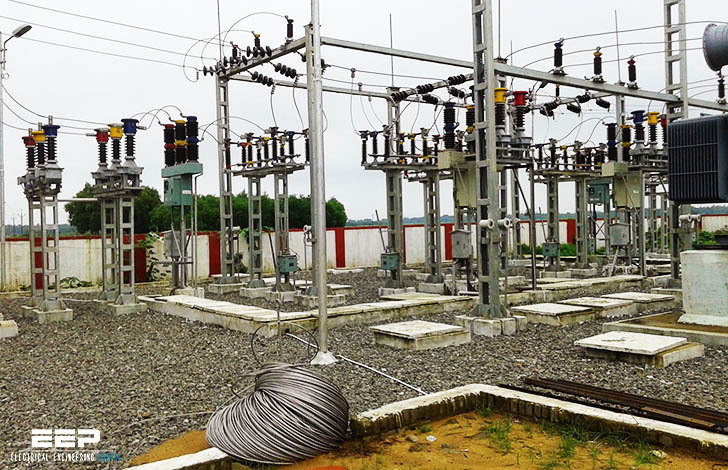 A step down transformer of 11KV/440V is connected to control panel to provide supply to the equipments of the substation. Capacitor bank is connected to main bus of 11KV. It is provided to improve power factor & voltage profile. There is no clarity in description and it gives no new information. A single line diagram would be better.